Living… in the year 2263, under the command of the Great Evil. Most men would be hesitant to take orders from a giant orb of evil energy, but Zorg isn’t. 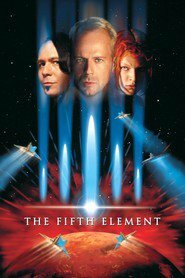 When the otherworldly force of pure malevolence gives Zorg orders to collect the four elemental stones that are the key to defeating the Great Evil, Zorg is more than happy to help. Profession… industrialist. He’s a big businessman with evil in his blood. He deals in high tech weaponry and anything else that will make a quick buck. Recently he’s devoted all his time to helping the Great Evil which has promised him tremendous rewards in return for his support. Interests… money and all the futuristic pleasures that it can buy. Zorg splurges on helper robots, useless gadgets, big weapons, and cocktail weenies (some things never go out of style). Zorg doesn’t seem to cultivate many passions, focusing the full brunt of his energies on accruing as much wealth and power as possible. Relationship Status… single. His only love is money. Challenge… securing the four stones for the Great Evil. The world’s most powerful weapons are powerless against the Great Evil, and it can only be stopped by the union of the four elemental stones with a fifth human element. Zorg has hired a group of alien mercenaries to help him find and take the stones, ensuring the success of his wicked master. Jean-Baptiste Emanuel Zorg's popularity ranking on CharacTour is #1940 out of 5,000+ characters. See our top-ranked characters and read their profiles.